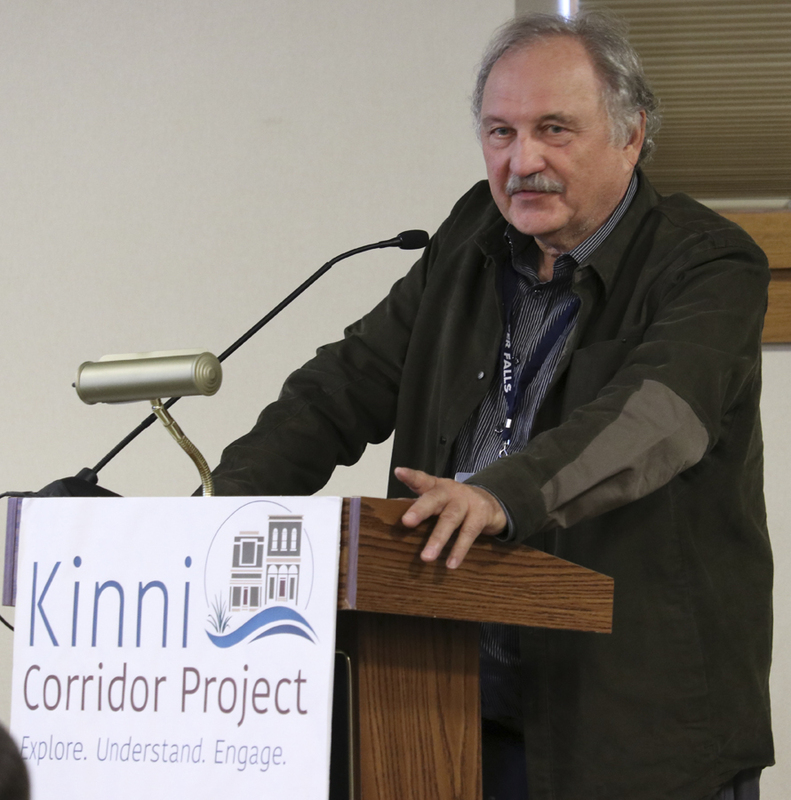 By Gretta Stark on May 31, 2017 at 8:00 a.m.
As the Kinnickinnic Corridor Project continues, the fourth "Kinni Tech Talk," explained the dam relicensing process to attendees. The goal of these tech talks (six in all) is to educate those interested in the different aspects of the River Corridor planning process. 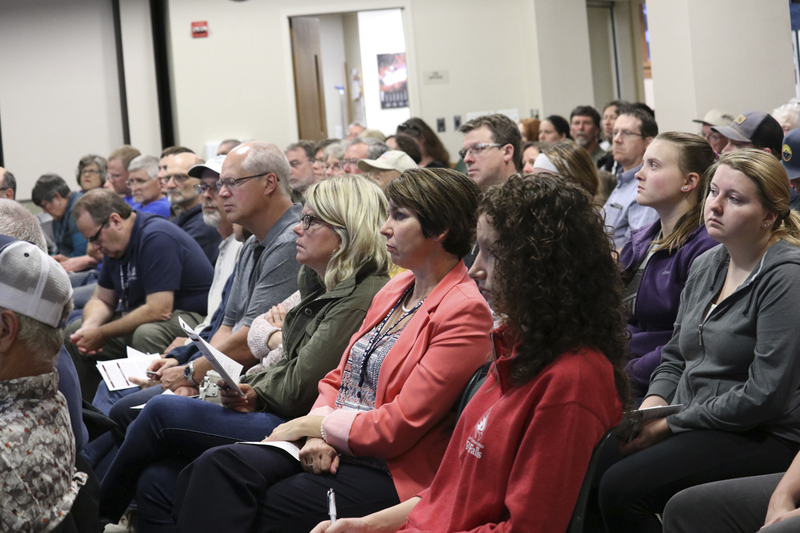 This talk held Thursday, May 18, gave an overview of hydropower, discussed the River Falls hydroelectric facilities and the relicensing process. Mark Lobermeier, of SEH Inc., and Lesley Brotkowski, a senior ecologist with TRC Consulting were the presenters. 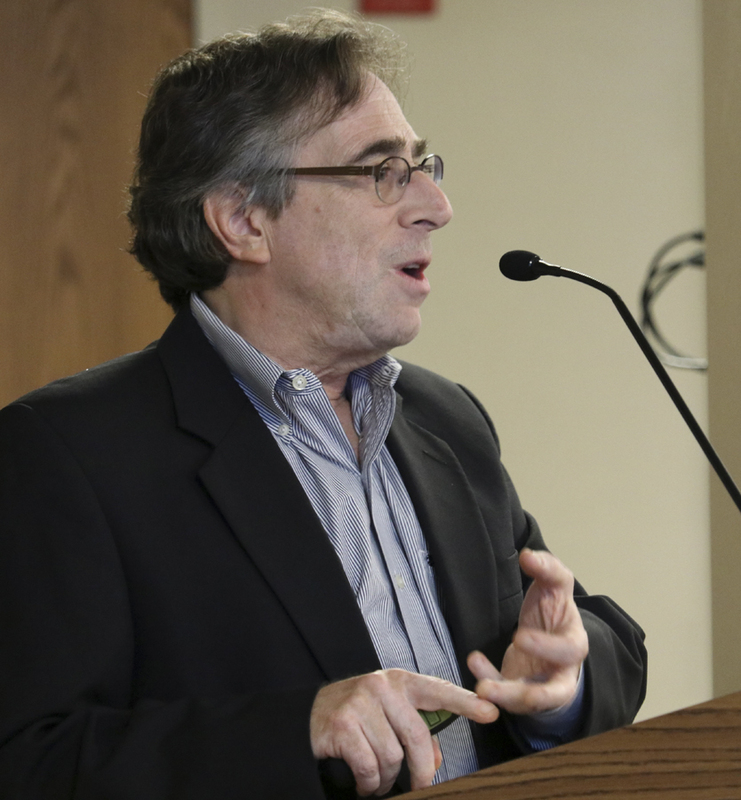 By Gretta Stark on Apr 13, 2017 at 8:39 a.m.
Around 135 people gathered at St. Bridget Catholic Church Thursday, April 6 to listen to former Duluth Mayor Don Ness speak about economic and neighborhood development. 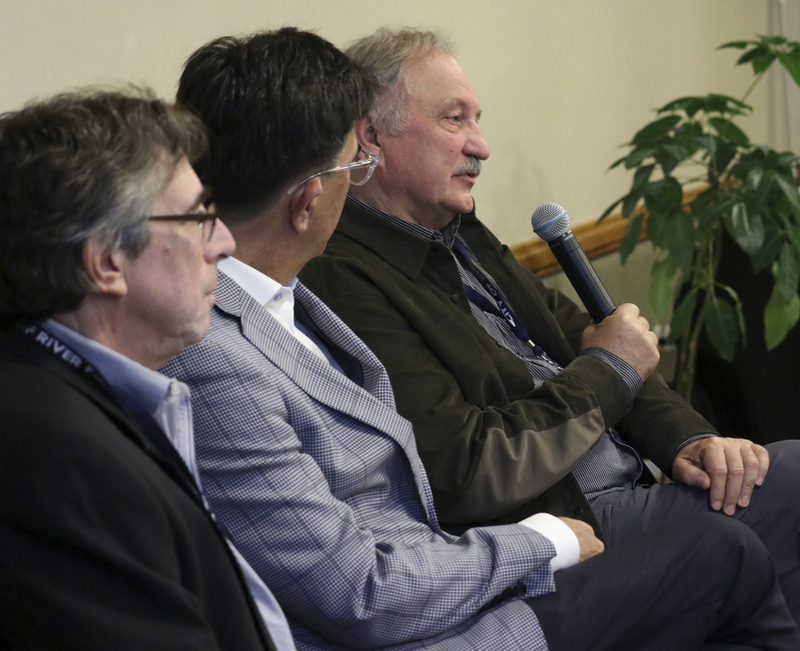 This was the third of six "Tech Talks" planned by the Kinni Corridor Committee. Each talk relates to an aspect of River Corridor planning. By rfjnews on Jan 25, 2017 at 5:00 a.m. 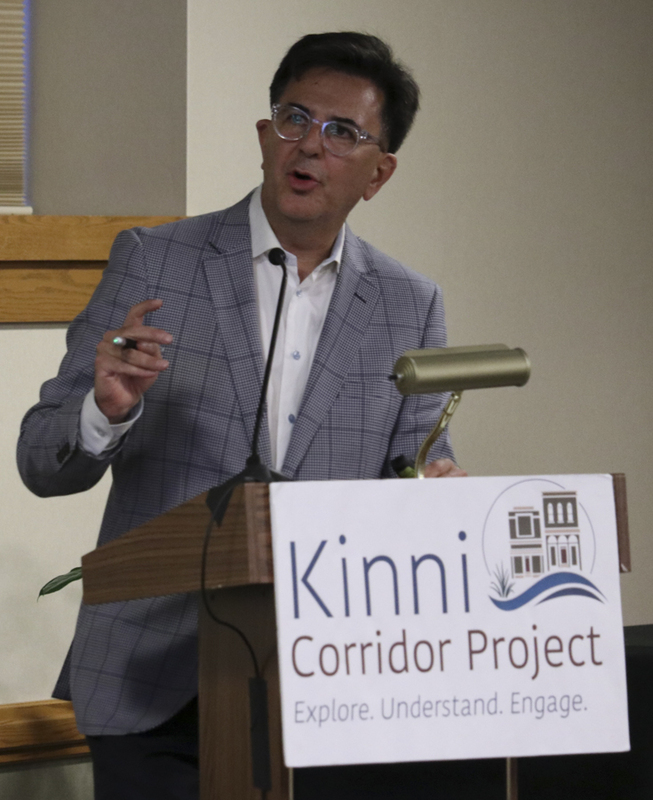 The Kinnickinnic River and its future have drawn much attention in the city over the past couple of years and prompted the formation of the Kinni Corridor Project committee. Kinnickinnic River's future could be free of dams. 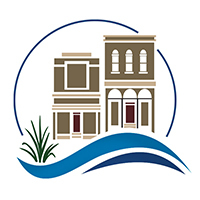 RIVER FALLS, WIS. – Standing in bitter cold under sparkling snowflakes, two university students offering blue “Free the Kinni” buttons call out to people participating in what’s billed as the largest communitywide planning project in the city’s history. By Gretta Stark on Dec 16, 2016 at 5:00 a.m.
By about 6:45 p.m. last Thursday, the public library's lower level was packed with an estimated 340 people. They were all came to learn more and express themselves on what city employees have called the biggest decision River Falls has ever made. It all revolves around the future of the Kinnickinnic River, and its two dams.